The nano thermal Research Group is committed to engaging with members of the public and the wider scientific community. 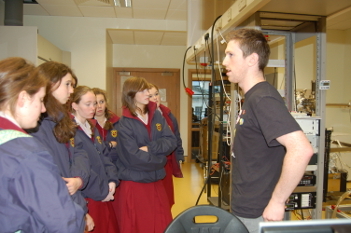 In order to maintain a healthy scientific community in Ireland, it is vital that we engage with members of the public, particularly those who are still in school or who have expressed an interest in physics. For more details, please see the outreach page of the CRANN website.